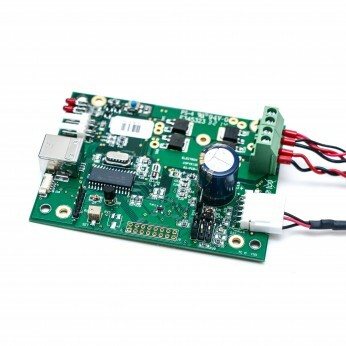 Output 5V to 24V, 5A , 10A , 15A . Sensors PT100, LM35, thermistor, etc. 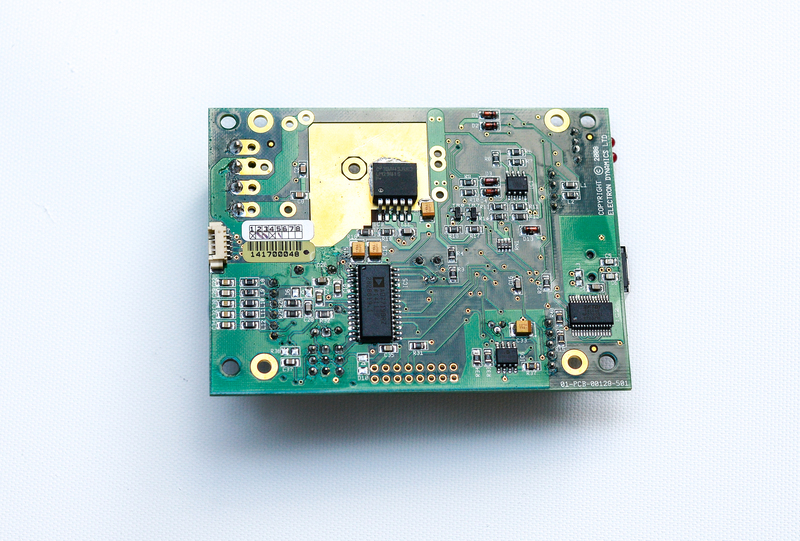 The PCB version of our TC M Temperature Controller. This provides full featured temperature control functions over the range –100ºC to 200ºC at up to 0.001ºC stability. 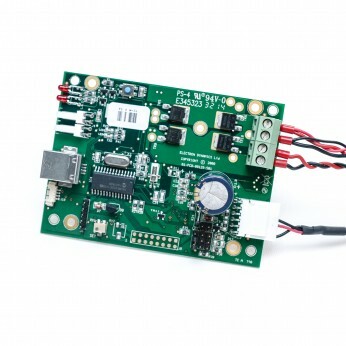 They are able to drive TECs over a range from 5v to 24v. Three units are available, rated at 5 amps, 10 amps or 15 amps output current. 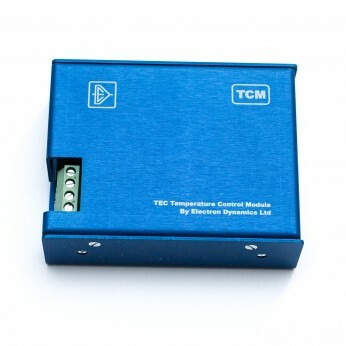 Suitable for controlling single and multiple TEC arrays, it has a pulse width modulated output, providing a high output drive in a very compact and cool package. 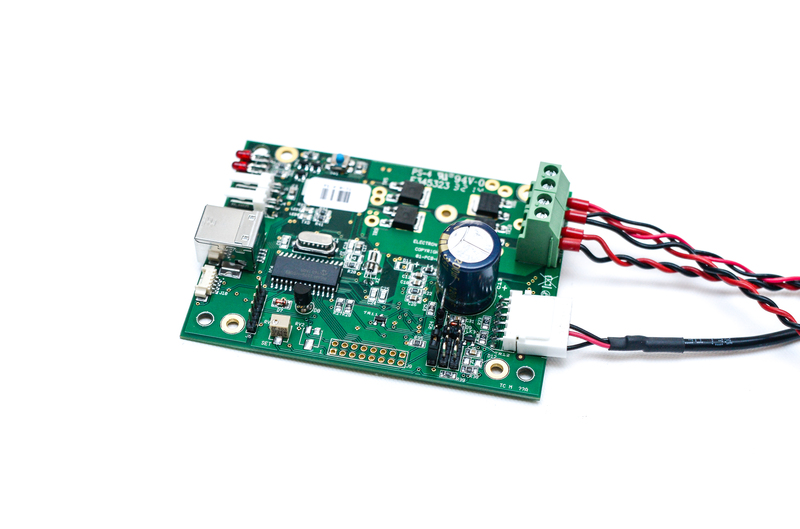 The output is a continuously variable providing cooling and heating, switching to the power supply rail.The unit has a very high precision input and can be configured for many types of temperature sensor, PT100, LM35 and thermistors. 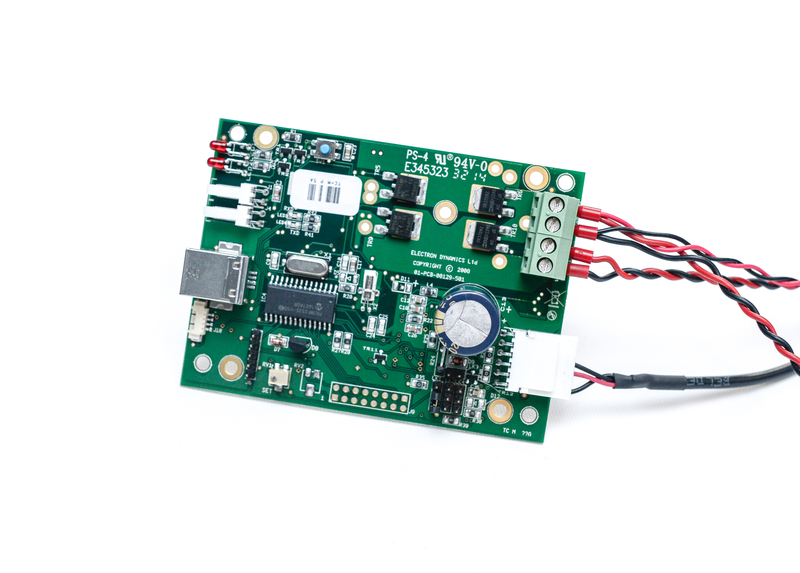 Temperature Controller interface – GUI is supplied allowing the user access to configuration, output limits, PID terms, temperature alarms and operating modes. The configuration data is stored internally in the controller allowing standalone operation, once programmed. 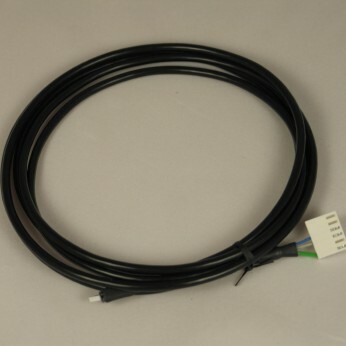 A USB interface is provided as standard for connection to a PC. Its interface and command set allow the unit to be controlled remotely, and can be integrated into a larger control system, where more sophisticated control of set point, alarms and temperature settings is possible. 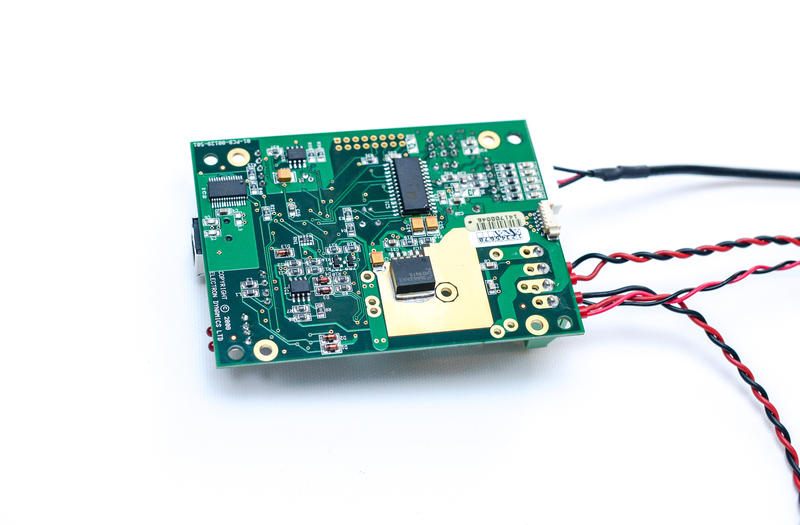 Several advanced features are included – auto-tuning of PID, temperature cycling and temperature ramping. 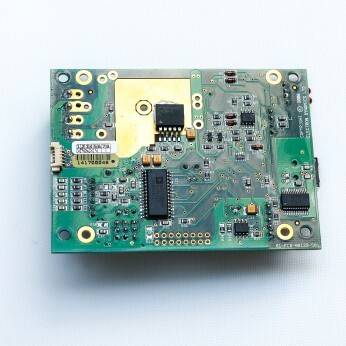 Typical applications for the controller would be with laser diodes stabilization, infra-red detection, high gain amplifiers, cold plate assemblies, device measurement, and process control. 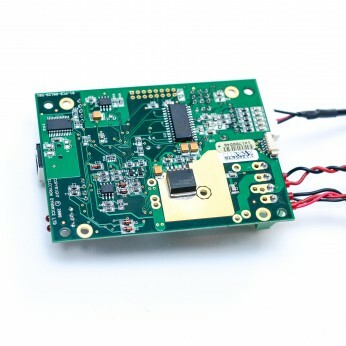 These devices could connect remotely using Wireless USB data kit. For large quantities or bespoke requirements please contact us.